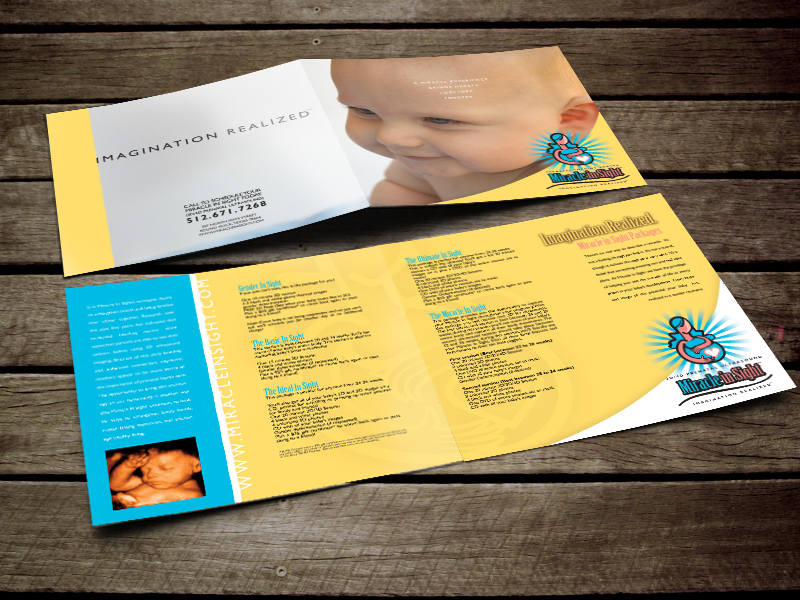 This was the brochure for Miracle In Sight 4D Imaging and Prenatal Care. I created the logo, the color palate, as well as all the pieces for the branding of this company. This one-fold brochure I created featured the packages and pricing for Miracle In Sight as well as showcased an image of the 4D treatment. The paper was 100lb. cover weight and had a satin finish coating so it wouldn’t fingerprint. These were wildly successful in bringing in new clientele for Dr. Scot. So much so that he ended up selling the business.